Posted September 16, 2009 @ 21:26:57 EDT. And after awhile, you realize... time flies. I'm loving "The Incident." 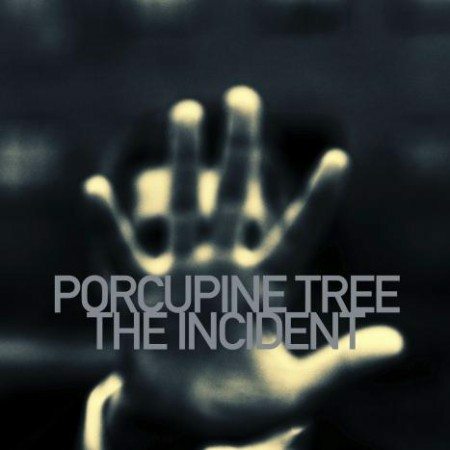 Porcupine Tree has done it again. They've captured the sounds of "In Absentia" — arguably the most recent of their true "progressive" albums, successfully fused it with their more recent heavier sound, thrown in a little late 1970s Pink Floyd (think "Animals" or "The Wall" — you'd think Michael Kamen were still alive), and created a masterpiece. It takes me about a week to get a new album fully in my head. I don't expect this one will be any different. I'll admit it took me a bit longer to get into "Deadwing" and "Fear of a Blank Planet" because they were so different from anything Porcupine Tree had done before and a massive departure from the sound I loved (instantly, I'll add). I learned to like the new sound, though, and reluctantly decided it was probably the new norm. Now this... wow. By far, my favorite song on "The Incident" is "Time Flies," an 11-minute epic which could be three times that length and still have important things to say. One of the things I've always loved about Porcupine Tree is how perfectly they express a sense of loss and melancholy both lyrically and musically. It's done with taste and respect, and never in the sense that life is coming to an end with the loss, but that life moves on afterwards and you are irrevocably changed as a result. "Time Flies" does this at every turn and with a theme everyone can relate to — the mere passage of time, aging us and substituting our hours for memories. Here's the video for a much shorter version of "Time Flies," which features a boy at various stages of his life, moving at normal speed or slower, while surreal shadows and light race across the landscape and the sun speeds across the sky. Time flies indeed. Afterwards, it struck me that "incident" is a very detached word for something so destructive and traumatic for the people involved. The irony of such a cold expression for such seismic events appealed to me, and I began to pick out other "incidents" reported in the media and news. Each song is written in the first person and tries to humanize the detached media reportage. Given the large number of "incidents" I've personally experienced this year, both positive and negative, I can't imagine a more perfect album to serve as the current soundtrack for my life. As for everyone else, do give it a listen — I don't think you'll be disappointed.